The Billboard Top Ten songs chart for 1995 contains the following names: Coolio, TLC, Seal, Boyz II Men, Mariah Carey, Madonna, and a man named Montell Jordan. This Is How We Do It was a breakout new jack-swing song that topped the Hot 100 for seven weeks and R&B charts for eight. Jordan, tall and handsome with a silky-smooth voice, established himself as a powerful presence in music, brimming with talent, savvy, and charm. Over his nearly twenty year career in music, Jordan has released seven studio albums, fourteen singles, and is a Grammy nominated artist selling more than 10 million records world wide. From South Central Los Angeles to Pepperdine University in Malibu, Montell was on course to attend law school when a professor said one of his biggest regrets was missing the chance to pursue music. In a flash, Montell recognized that if he was ever going to take a shot at music he needed to do it then. He put together a demo, which eventually landed in the hands of Def Jam Records and Russell Simmons. This Is How We Do It, which used a sample of Slick Rick’s ‘Children’s Story,’ took off and his first of many number one singles was born. Following years of awards, achievements and accolades in television, music and film that never seemed to satisfy, Montell learned that without fame he’s a husband, a dad, and a friend. He stepped away from the entertainment business for many years in search of significance over success. “I had to learn who Montell was outside of music to determine that I make music and music doesn’t make me.” In that time away, Montell was able to reevaluate his priorities and ultimately find his passion. This was found as he connected with his childhood faith. 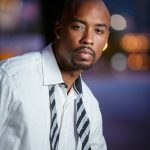 Montell speaks, teaches, mentors, ministers to married couples and continues songwriting and performing today. Following a five year R&B musical hiatus, Jordan now does music again as he has determined both what he is gifted to do and what he is purposed to do and allowed those worlds to meet. Montell now serves more than 13,000 people from 135+ nations around the world each weekend as an Executive Pastor at Victory World Church in Norcross, GA. He continues to redefine music, mentor men and mend marriages through Victory, an ideal place that builds families, transforms communities, reconciles cultures and impacts nations. In his musical past, Montell had already shown an ability to stretch boundaries of genre and style and uses this same ability to influence, impact and inspire today. Jordan’s musical achievements are still recognized worldwide and he and his wife of 20+ years, Kristin Jordan released a marriage book in 2017 titled, “This Is How We Do It! Making Your Marriage A Masterpeace.” During summer 2016, Jordan’s released his self-published autobiography, “Becoming Unfamous; The Journey From How We Do It To How He Do It.” It is available now at www.montellandkristin.com. Montell’s Faith is the reason he desires to share the good news of his journey with all who are willing to listen, be encouraged, and possibly transformed as he was. 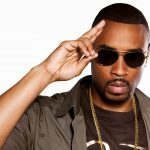 Montell uses his music platform to reach people all around the world to entertain and introduce them to the man of faith he has become in Christ.